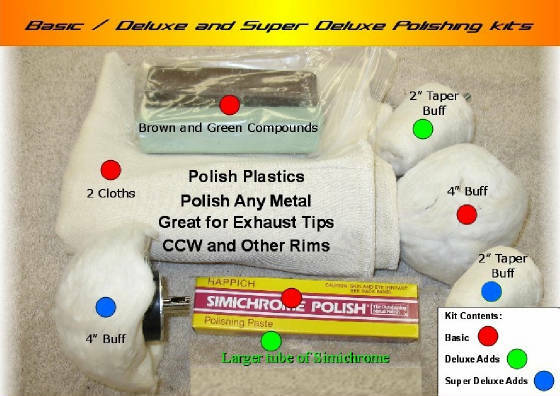 We developed the FIRST and ORIGINAL Exhaust Tip Polishing Kit. Don't be fooled by cheap copies claiming 40%-50%off. Those kits don't have simichrome and only have 2" mushroom buff, no cloths an only mini compound bars that you can't even use. 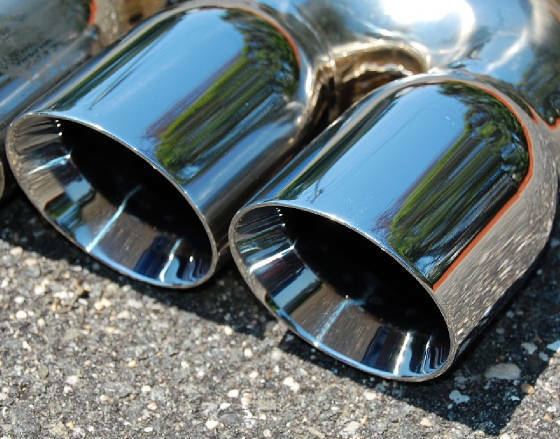 So you have spent over $1,000 on that new exhaust system and it just sounds great. The only problem is the part that is exposed to the world (the tips) look like a nuclear waste site. Maybe you’re just not happy with the polish on your OEM system. It’s not your fault; it’s the only item on the car that needs special care to look good. It’s the only part of the car that requires metal polish, but not just any metal polish. Sure you could throw some wax on them, but that will only cause them to yellow and trap more dirt. You could spend $50 and buy a power ball and some off the shelf metal polish and get poor results. The problem is products like that will not polish stainless steel, or you could ruin your tips by using any number of suggestions I have seen people post. I will tell you that from day one I have had the best shine / polish on both my factory system and now on my aftermarket system. I achieved this level because I understand the science of polishing and have tried it all and I am passing the secret to you. Further more, I maintain this polish with little effort and only a few minutes a month. 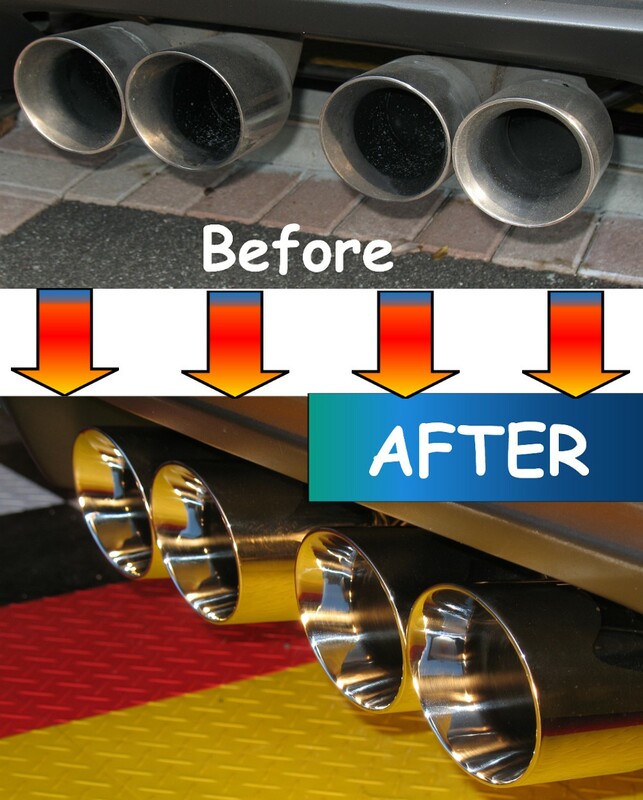 Now it’s your turn to have polished exhaust tips that make people say WOW. It takes no training or special skills, if you can work a drill you can have a show quality shine on your exhaust tips for life. This kit will also go much further and allow you to polish any uncoated metal and even dull plastics. I have assembled the ultimate kit designed for one purpose, to give you these results in less than 10 minutes on the first polish, then allow you to maintain them with almost no effort for the life of your car (cordless or corded drill required). Your not just going to find these components in any local store or shop, I had to contract with five different manufactures to assemble the best of the best. This kit also includes the best metal polish in the world, Simichrome. I have spared no efforts to assemble the best of the best. Products that I have used for years and will last you for the life of your car, yes this kit will be the only and last kit you will need to achieve the best possible polish. The best part, the complete 6pc kit sells for less than a single powerball.